Netanyahu to hold Jewish history seminar in the wake of UNESCO decision denying Jewish connection to Temple Mount. 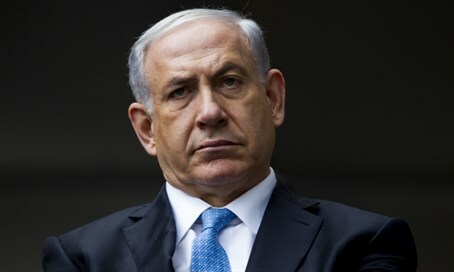 Prime Minister Binyamin Netanyahu announced on Friday that he would host a Jewish history lecture for UN officials, in the wake of the recent UNESCO decision divorcing the Temple Mount from the Jewish people and treating it only as a Muslim site. “Two weeks ago, I was shocked to hear that UNESCO adopted a decision denying any Jewish connection to the Temple Mount, our holiest site. It is hard to believe that anyone, let alone an organization tasked with preserving history, could deny this link which spans thousands of years,” Netanyahu wrote on Facebook. “That is why today I am announcing a seminar on Jewish history for all UN personnel in Israel. I will personally host the lecture at the Prime Minister's Office. The seminar will be given by a leading scholar of Jewish history and will be free to all UN staff and diplomats, including of countries which voted for this outrageous decision,” he added. The Israeli Foreign Ministry recently issued a strongly-worded protest letter to all the countries that supported the UNESCO decision. In the letter, Foreign Ministry director Dr. Dore Gold slammed the attempt to erase the Jewish connection to Jerusalem, the 3,000-year-old capital of the Jewish people, and to other Jewish holy sites. Gold said that "while the UNESCO decision has no practical validity, we will not allow international sources to blur the connection of the Jewish nation to its eternal capital." Aside from the Foreign Ministry letter, activists have launched an online petition against the shocking UNESCO resolution, which aside from renaming the Temple Mount as Al-Aqsa Mosque also renames the Western Wall as Al-Buraq Wall, in reference to an ahistorical Arab attempt from the 1920s to claim the site. Faced with backlash from Israeli officials, UNESCO chief Irina Bokova later called for "respect and dialogue," but did not backtrack from the shocking decision on the Temple Mount.